When I was 12, my parents had two talks with me. One was the usual birds and the bees. The other talk was about what to do if a cop stopped me. If you are Black in America you know this talk well. You have most likely been on the receiving end of it, and you may have had to give it to your son or daughter before they could even fully understand the implications of having Black skin in America. 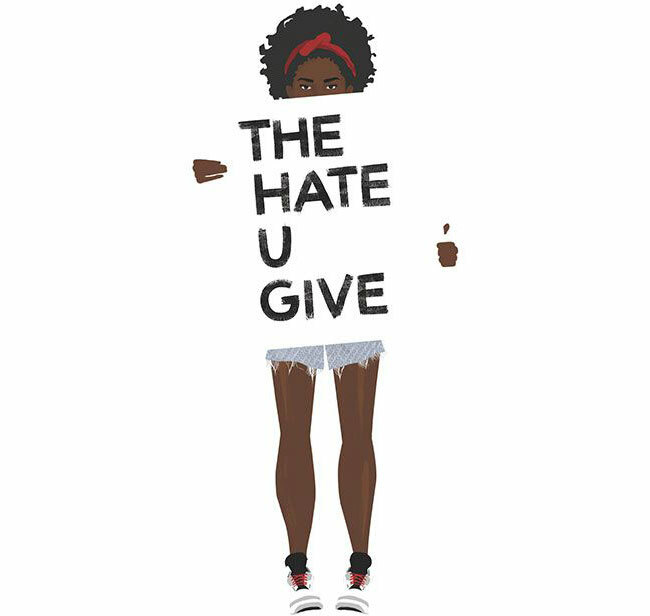 The NaturallyCurly Book Club read of the month is The Hate U Give, by Angie Thomas. This novel comes at an extremely divisive moment in American history, where news of police brutality is relentless, media coverage produces flattened or negative narratives of the victims, and the state continues to fail in holding police accountable for their actions. Exploring issues of race, white privilege, code switching, and the killings of marginalized people by police is a contentious topic in America today. However, Thomas notes that she began writing the novel as a short story following the shooting of Oscar Grant in 2009, and then picked up the project after the continued deaths of Black folk at the hands of the police, in hopes of giving a voice to marginalized groups that are too often silenced. “The Hate U Give” is a young adult novel by Angie Thomas, which follows the protagonist character Starr Carter after witnessing a white police officer shoot and kill her best friend Khalil. Starr Carter is a 16-year-old High-school student who is tasked with navigating two very different worlds: being a Black girl from the hood and attending a predominantly wealthy and white private school. Starr's journey leads her on a path to activism, paralleling the Black Lives Matter movement, in her quest to find justice for Khalil's death. While this novel is meant to raise strong and cogent arguments that counter the one-dimensional accounts of police brutality often represented in the news media and by authorities, the first person narrative also forces us, (the reader) to explore the endemic nature of racism in our society at large, and what each of us are potentially or inadvertently doing that allows these systems to operate. As we continue to fight against injustices of police brutality in a time where mainstream society refuses to acknowledge the persistence of institutionalized racism, Thomas’ debut novel serves as much needed literary device for change. Order The Hate U Give on Amazon or in your local bookstore. You can also sign up for Audible and get two free audiobooks. Sign up for our NaturallyCurly Book Club newsletter here to be in the loop on the book of the month, and remind you when our virtual book club meeting will be. Our virtual book club meeting will take place live on Facebook, so that everybody can attend no matter where you live! Tune in to the NaturallyCurly Facebook page on August 17 at 2pm CST to discuss the book with us and other book club members! You can also follow #NaturallyCurlyBookClub on Instagram and Twitter to chat with us through the month as you read. Editor's Note: The Facrebook Live has been rescheduled for August 18 at 2pm CST. Subscribe to our Book Club Newsletter for updates and reminders for our hangouts, and to learn about the next book club pick!